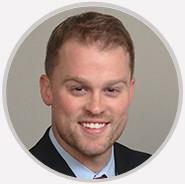 Dr. Kyle Keane is a board-certified primary care physician specializing in sports medicine, nonoperative treatments, and concussion management. Exceptional care for my son! A lit more attention to the patient and what they are saying. Waited around for an hour for a five minute visit. Dr. Keane was very nice and knowledgeable. Just needs to improve on bedside manner. I love Dr. Keane he is so attentive, wants the best for you and explains everything into detail.